Medium to Large, Oval to Round in shape, the Haden mango is grown in Mexico, Ecuador and Peru. 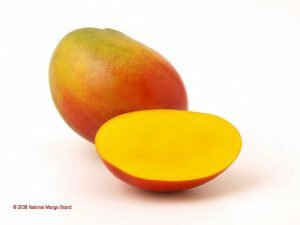 This mango is a firm variety and its color is Green to yellow with red highlights. Haden is said to have been brought by Captain Haden to Florida from the Mulgoba (Malghoba means “Makes the mouth water”) seedling from Pune, India around 1900. In its fully ripened state, it is one luscious awesome smelling fruit. It is available between October to December and March to May.